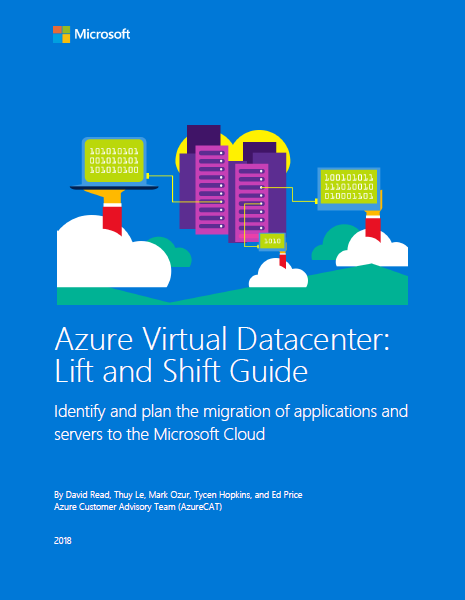 In this whitepaper, we outline the process enterprise IT staff and decision makers can use to identify and plan the migration of applications and servers to Azure using the lift and shift method, minimizing any additional development costs while optimizing cloud hosting options. In our experience, the lift and shift method will cover the bulk of enterprise scenarios. Authored by David Read and Thuy Le from the Microsoft Azure Customer Advisory Team (AzureCAT), this guide helps you to identify the technical details of what assets are good candidates to migrate (vs. other options of onboarding to Azure) and to work through the details of what a cost model for these resources would entail. Jump on in. The Cloud is warm.